It might seem like a very niche post; after all, there are a whole host of things to consider when you move home and the kitchen is just a small cog. Unfortunately, it happens to be the most complicated cog. After all, this is the room that people use the most in the house, and it means that it can be difficult to tackle once you take the plunge and decide to move home. Bearing this in mind, the rest of today’s post will look at everything you should consider to make kitchen life a lot easier when you do move. First and foremost, you need to prepare a box of essentials. There is no online checklist to proceed with here; as what is defined as a kitchen essential for one person certainly isn’t going to be the same for another. However, your box of essentials is simply the items that you need on a day-to-day basis to use your kitchen. Example items include the likes of plates, cutlery and basic pans – just so you can get by. 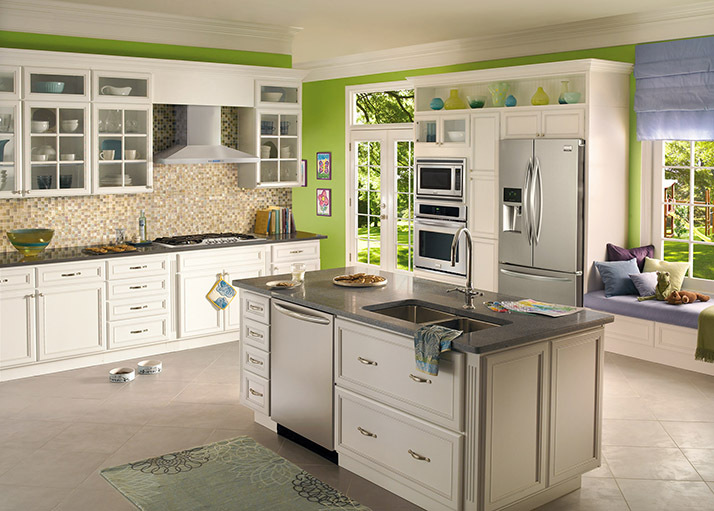 One of the big reasons why the kitchen is such a tricky room to conquer is because you use it so often. As such, keep all items that you do use in one place, and start to pack everything else. Something else that you need to overcome is your larger appliances. The washing machine and fridge freezer tend to be the ones that most people have, unless you are lucky enough to have a dishwasher as well. Transporting these is obviously a mission in itself, but let’s home in on the fridge freezer. This is one appliance that needs particular attention and we would urge you to look at tips on how to defrost your freezer long before your move to help you along your way. You’ll usually need to start this process at least 24 hours before your move date, so bear this in mind. On a similar subject, make provisions for the frozen food in the appliance. Some people will decide to gradually lower their shopping bill and just not buy much frozen food before they move, while others will decide to move it all themselves. The latter can be challenging, and you will need the appropriate packaging and also the assurances that the fridge freezer at the other end is ready and functioning properly. Due to the magnitude of different items, an efficient labelling process is more important than ever before when it comes to your kitchen. Blindly placing items into boxes just isn’t going to do you any favors here – you need to know where all of the different items are. Sure, your essentials box will help you some of the way here, but clearly marking each box (perhaps by cupboard) will make it much easier to move things into your new kitchen at the other end.